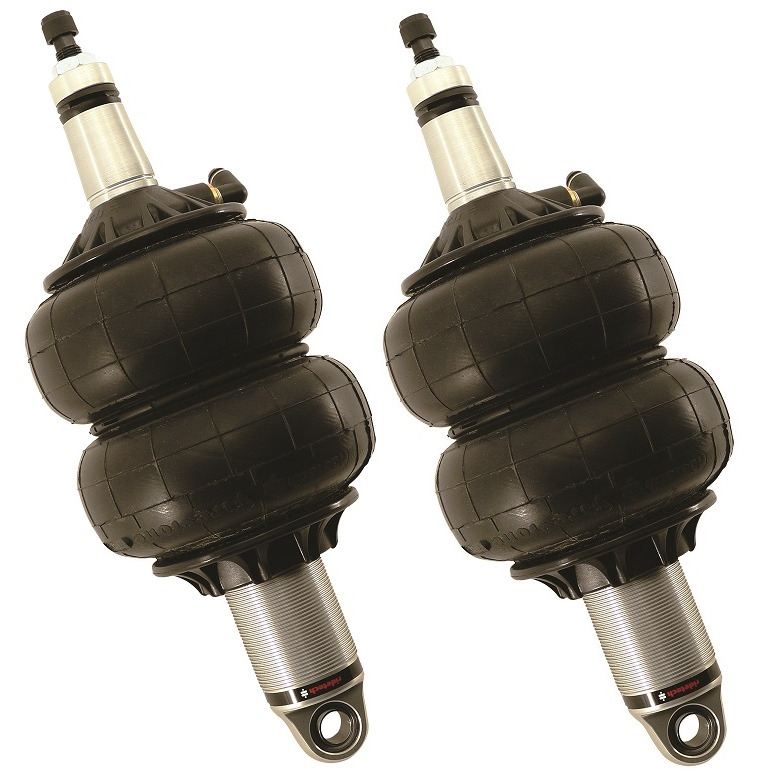 This Air Suspension System is specifically designed to fit the 1970-1981 Camaro and Firebird. 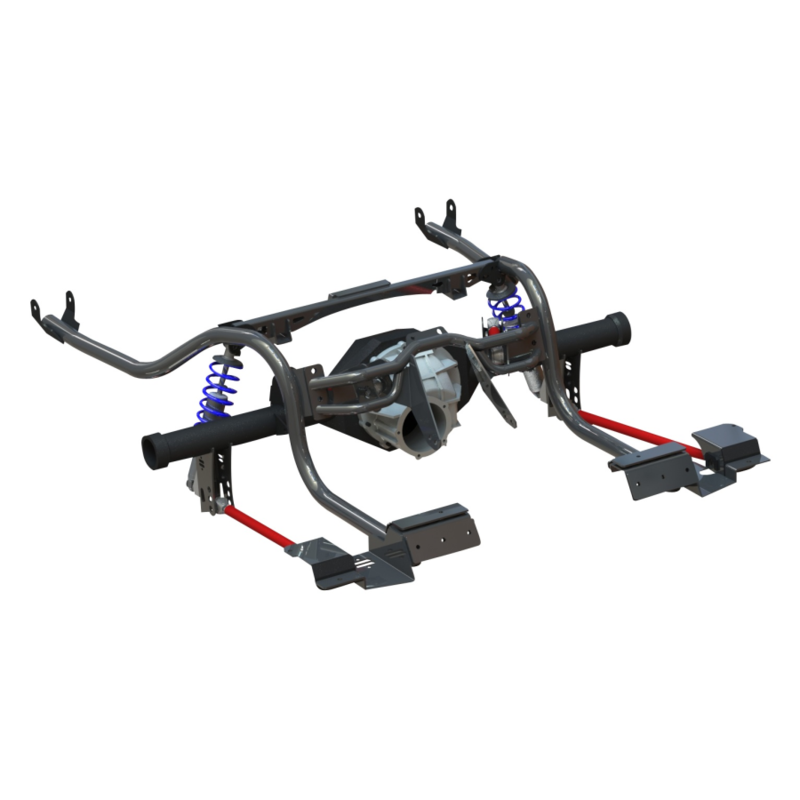 This system will give you the ability to achieve that ultra-low show stance and includes several components that will dramatically improve the suspension geometry to give your old muscle car modern drivability. The Upper StrongArms feature corrected ball joint angles for the tall spindles. The upper ball joint have been moved back to allow for additional caster setting to improve high speed stability and steering feel. Injection molded Delrin bushings with 13% Teflon are used to reduce deflection and stiction. 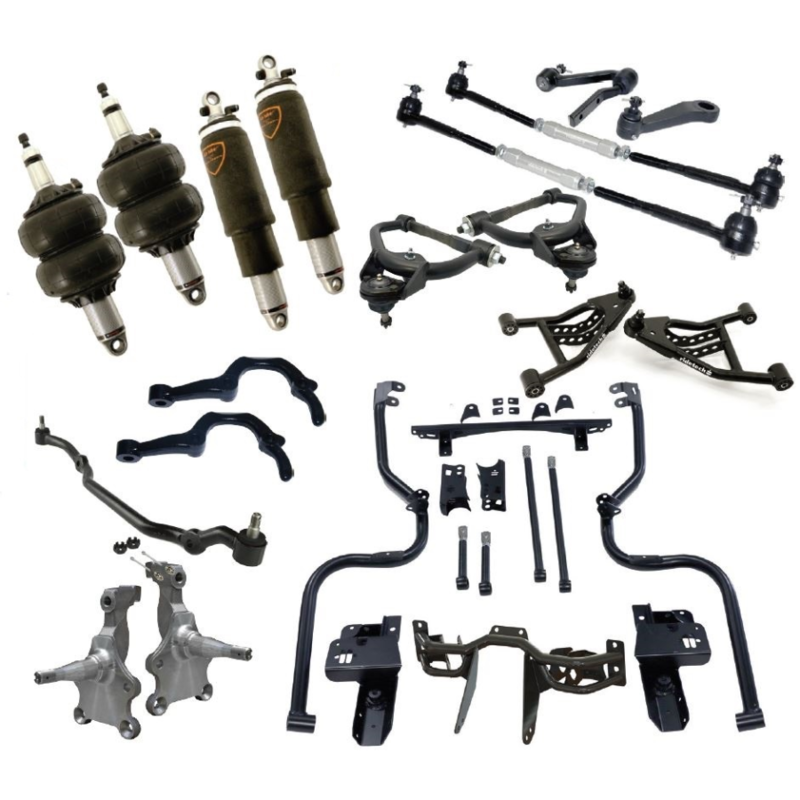 A TruTurn was added to this kit that includes tall spindles, steering arms, tall inner tie rods, billet tie rod adjusters, inner rods and a centerlink. 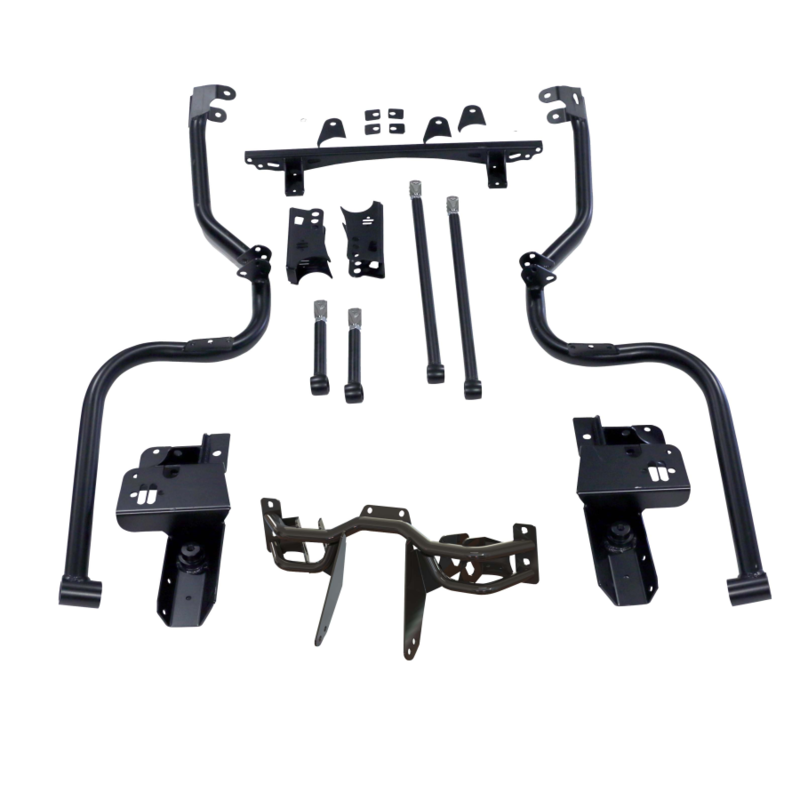 They work together to provide minimized bumpsteer, corrected Ackerman angle and improved camber gain. This Front MucleBar helps reduce body roll. 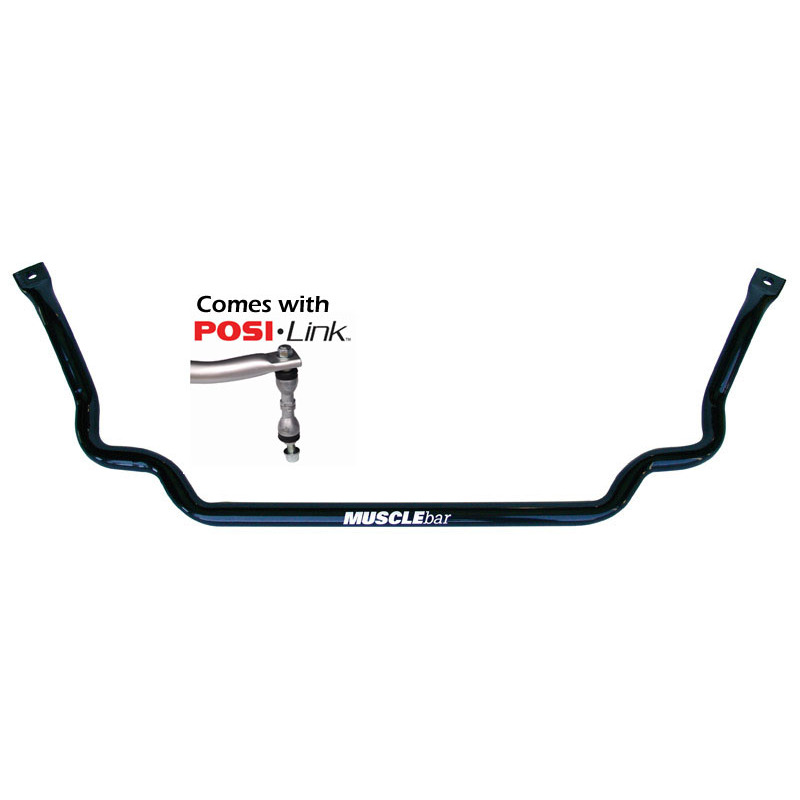 It includes the PosiLink endlinks that provide immediate engagement between the chassis and control arms. 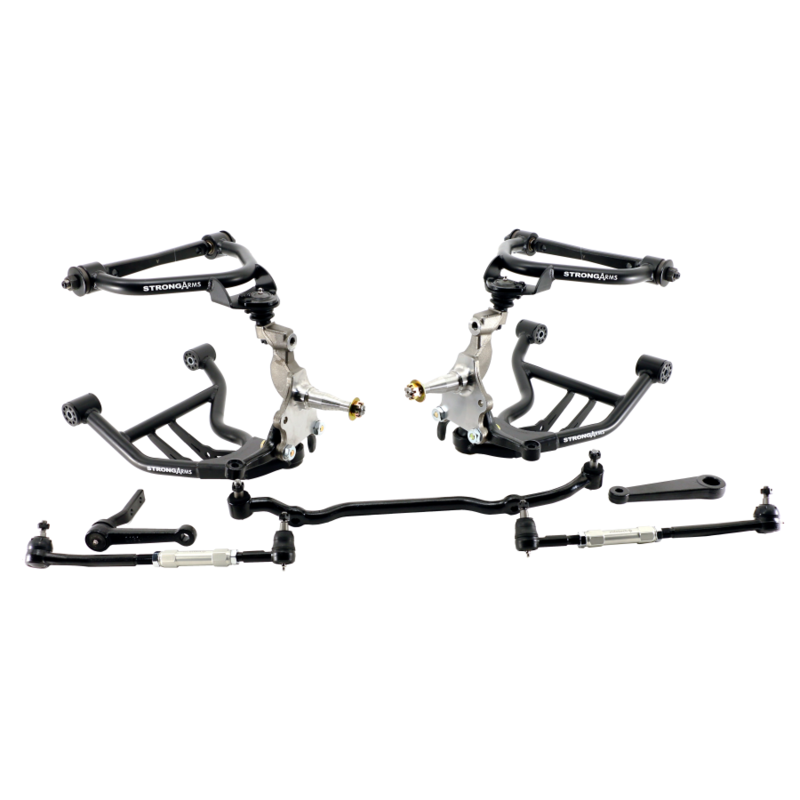 The Bolt On 4-Link greatly improves traction, handling and ride quality. The design delivers exceptional performance with minimal cutting and almost no welding required. Equally important, the unique design addresses production variations and frame rail thickness issues that are common to the second-generation F-Body platform. RideTech developed an innovative “unicradle” design that is significant in two ways. Lateral tubes index off of the leaf spring mounting points rather than the frame rails. A separate steel brace bolts to the inside of the rear bulkhead area (in the cockpit) behind the seat to locate the forward mounting points of the upper link bars. * This spindle is design for use with 1967-1969 Camaro brakes systems. * Fits up to 18" x 10" wheels with with 6" backspacing. 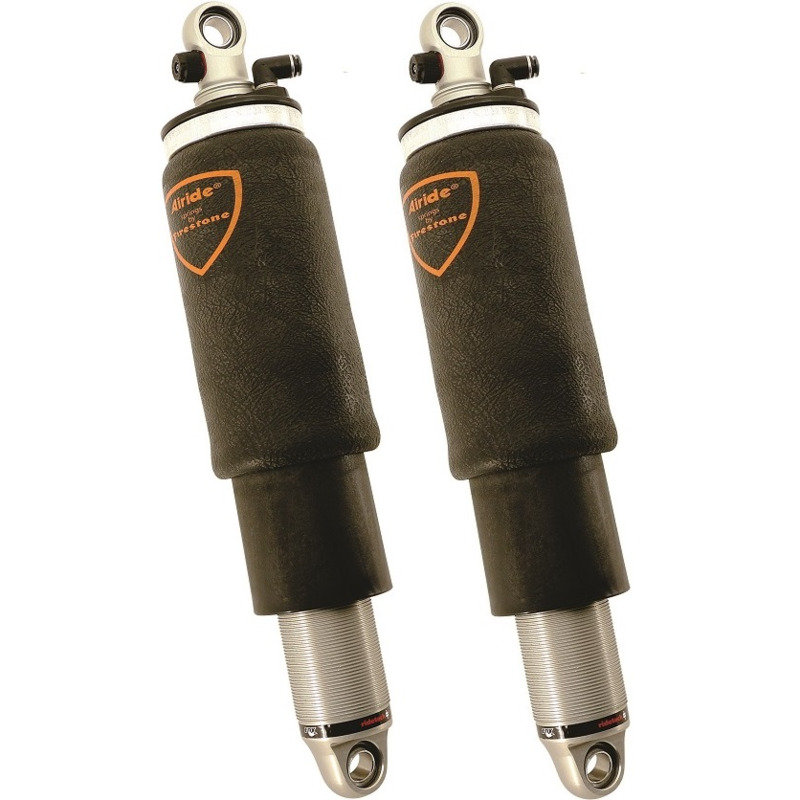 * The exact wheel sizes needed on your car may vary, you must measure your car with the supension and brakes installed.